Description: Mother Nature's Preserves Flower Press give you a quick, easy and fun way to preserver flowers to use at a future date. You now have beautiful, colored flowers that can be use for craft projects such as candles, cards, bookmarks, pictures to frame, ornaments and more. 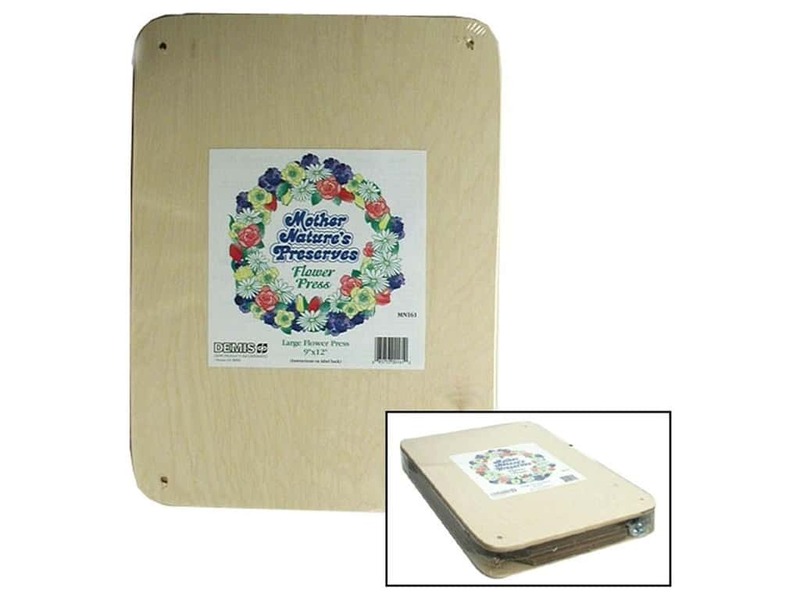 Package include wood and screws for press, cardboard and approximately 20 blotter papers. Large - 9 x 12 inch. See more Mother Nature's Preserves Flower Press. Mother Natures Preserves Flower Press Large -- CreateForLess 5.00 out of 5 based on 2 ratings. 2 user reviews. Wonderful, Big Plant Press- Just Great!